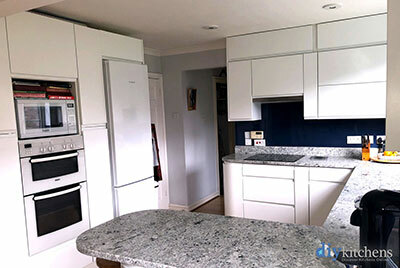 Jerry from Essex "Jerry from Essex talks to DIY Kitchens about his new Innova Linwood white shaker kitchen that he purchased from us." 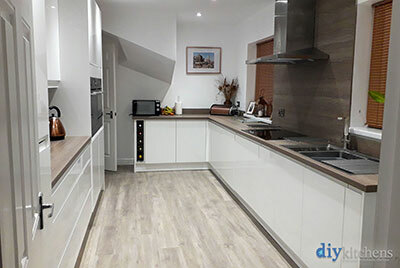 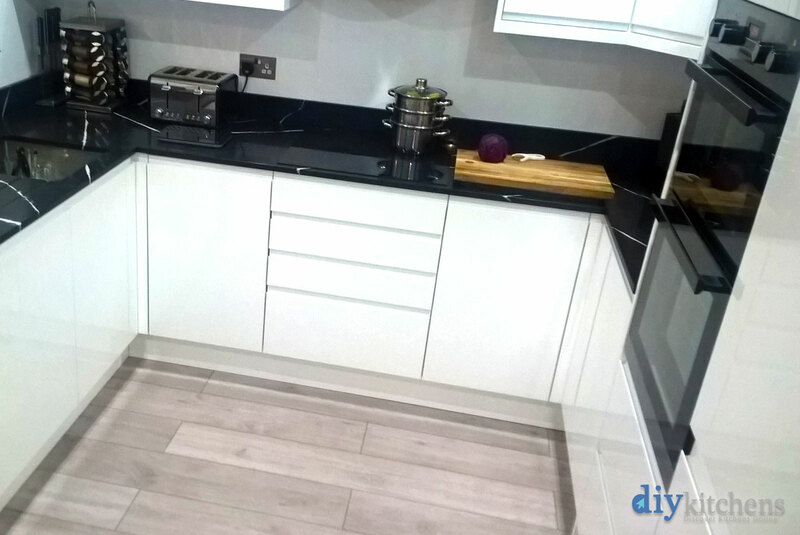 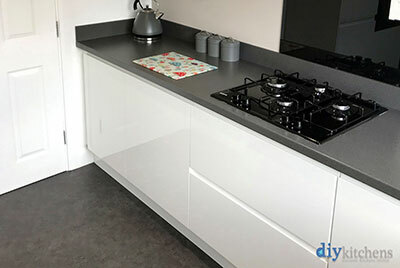 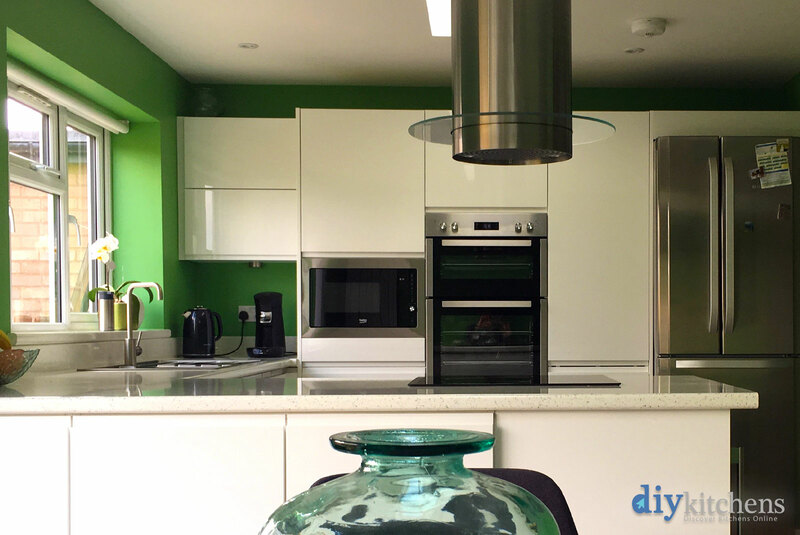 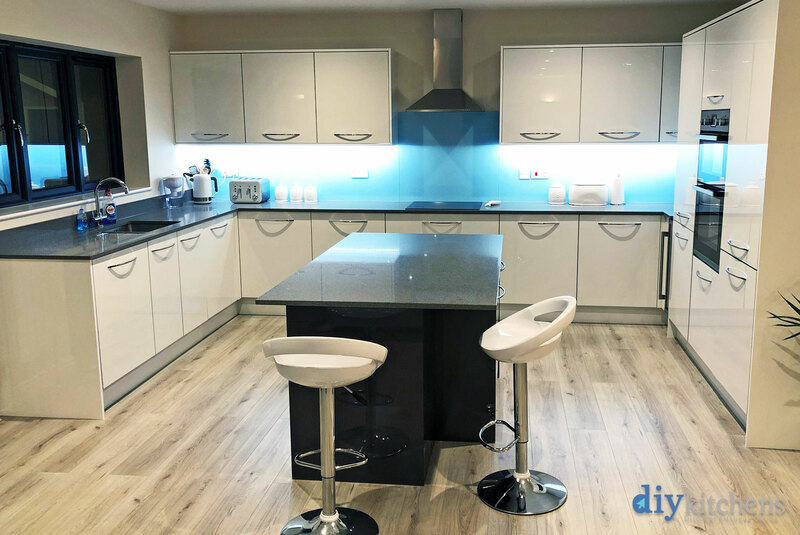 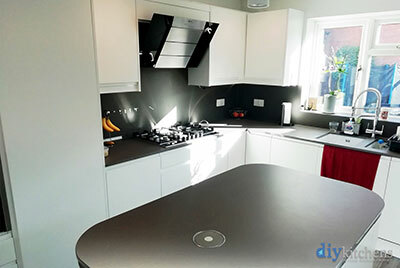 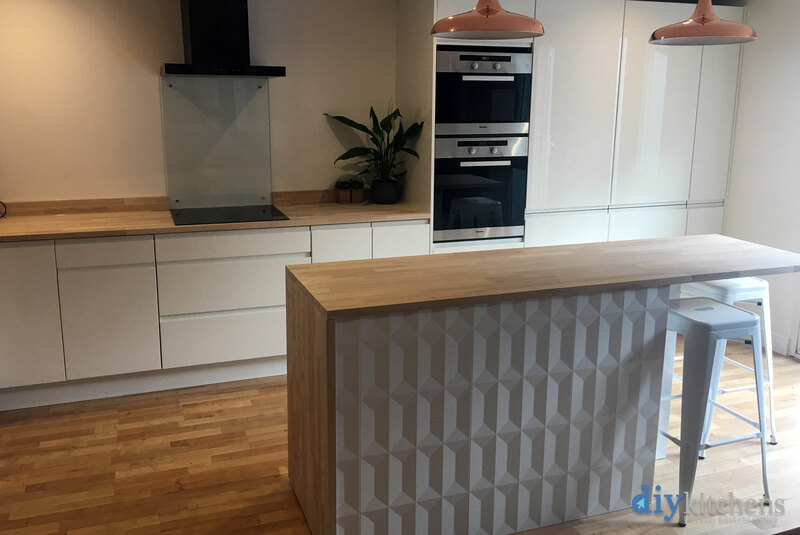 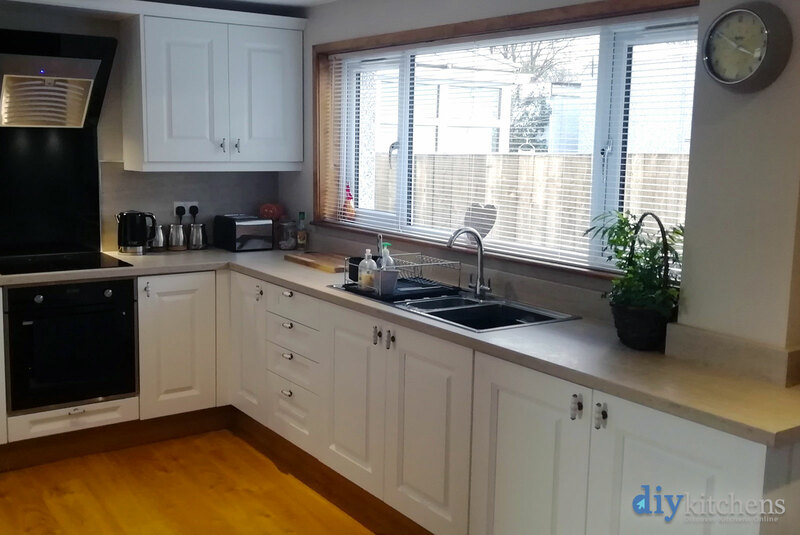 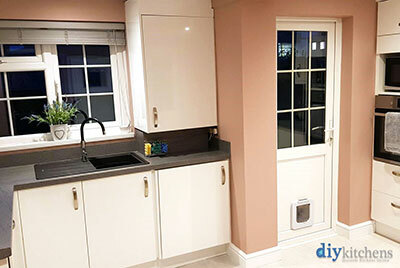 Gillian from Bristol "Gillian from Bristol talks to DIY Kitchens about her new Innova Clayton White kitchen that she purchased from us." Greg from Kent "Hi, I thought I'd send these photos, as the kitchen turned out really well. 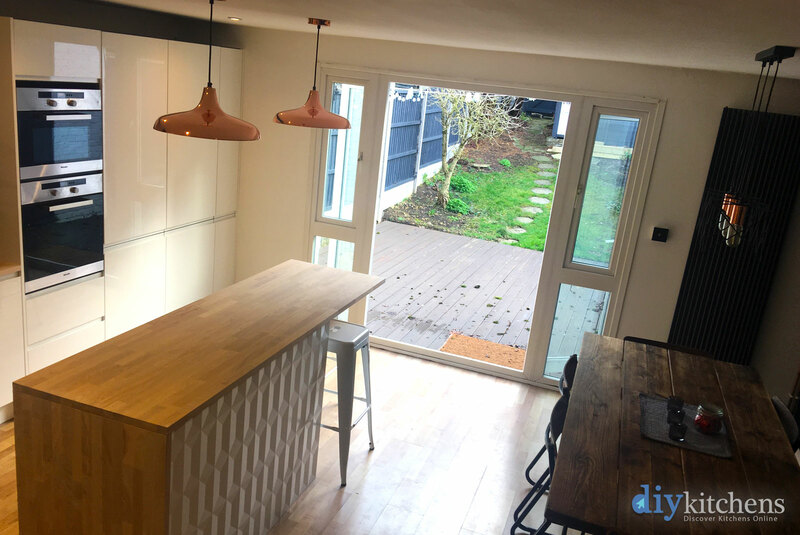 The quality is good and I'm really glad I went for the painted finish, as it's versatile, and I made an error which required the larder unit to be modified, which we were able to do as I'd ordered some paint for an mdf panel which finishes the side of the wine rack. 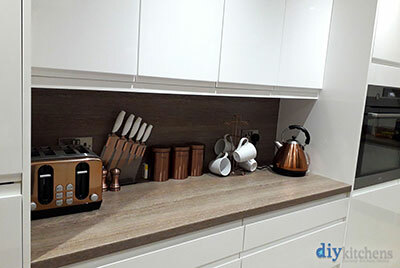 I'm glad I went for the curved units and also the curved corner posts, which I thought were somewhat overpriced, but lovely softening details they are. 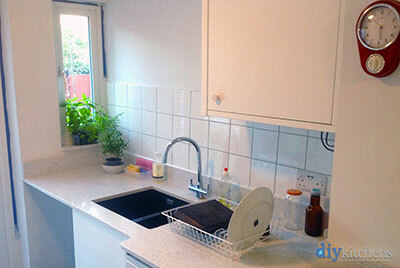 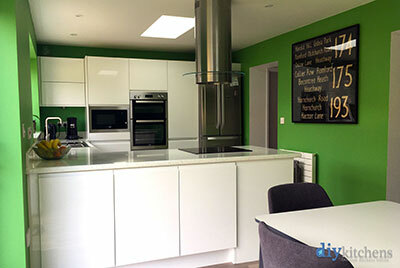 Good array of options and good service, very happy overall, the kitchen is fantastic and a pleasure to use." 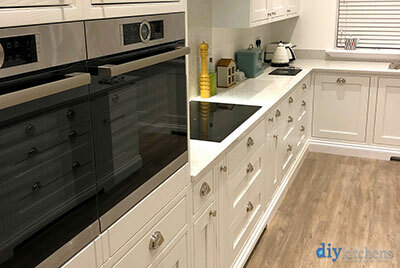 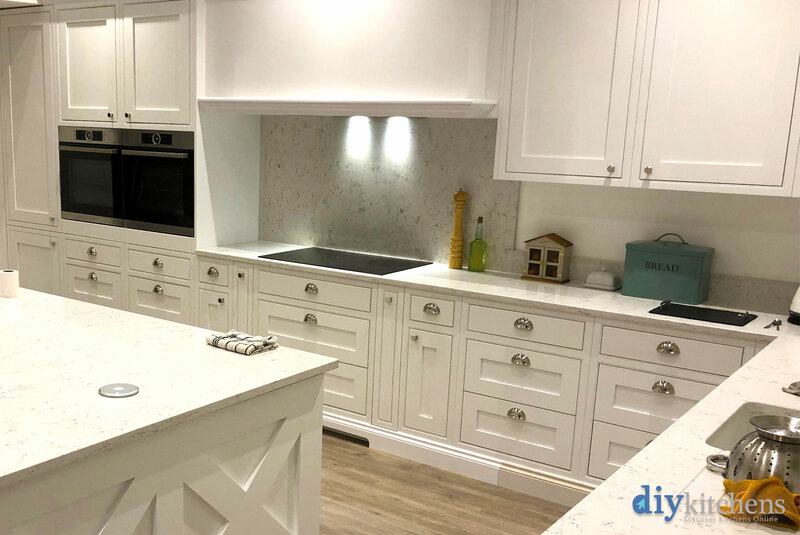 Sharon from Barnsley "I'm really pleased with the robust quality and clean, stylish finish of my Luca white gloss kitchen. 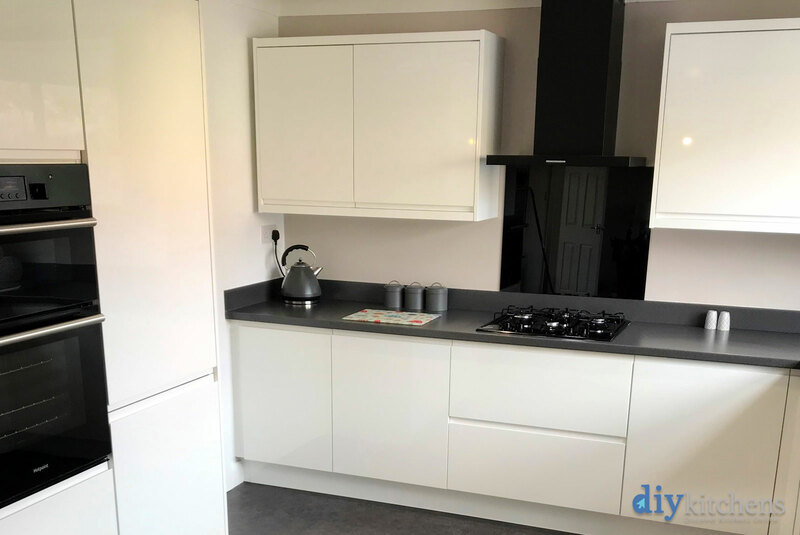 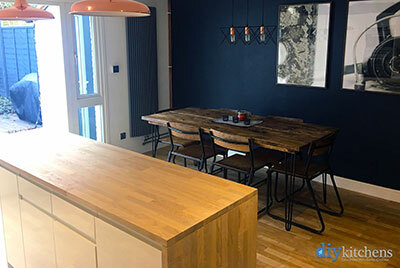 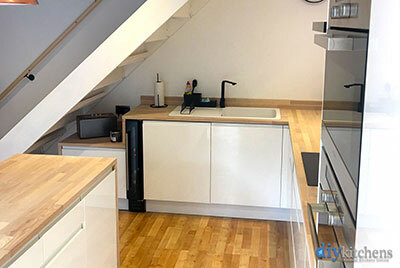 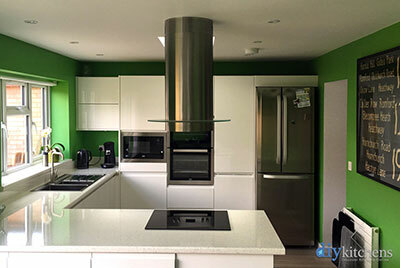 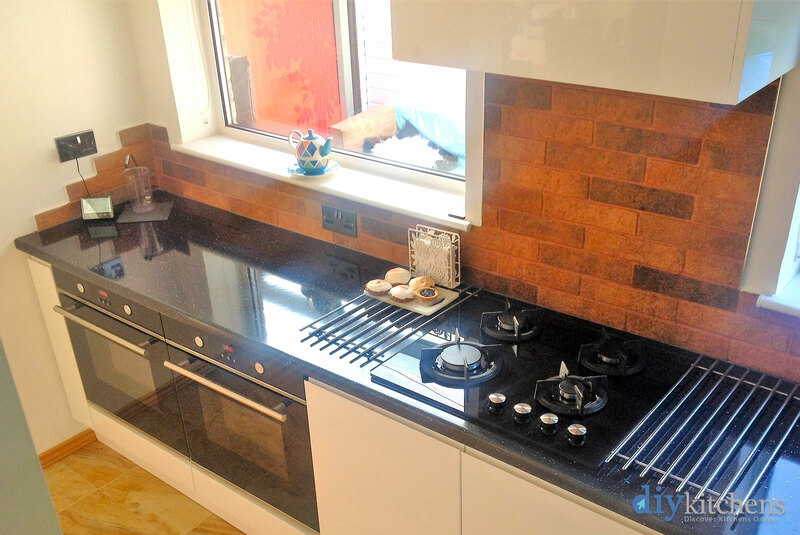 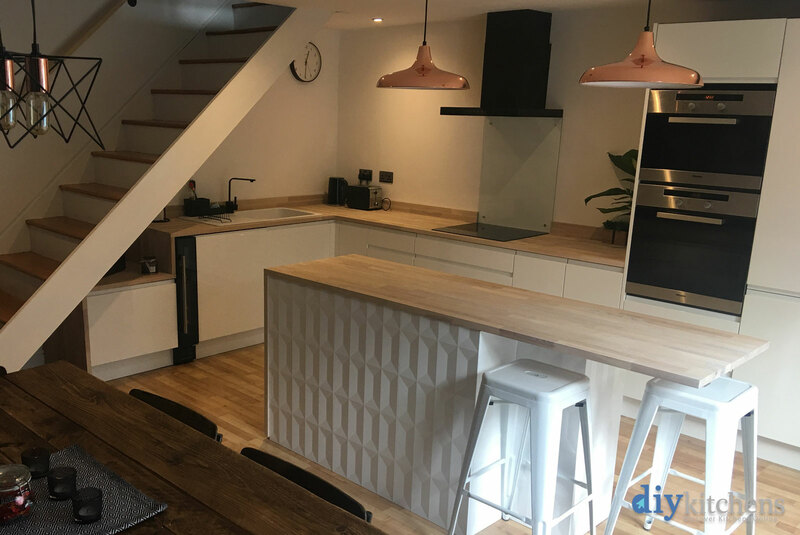 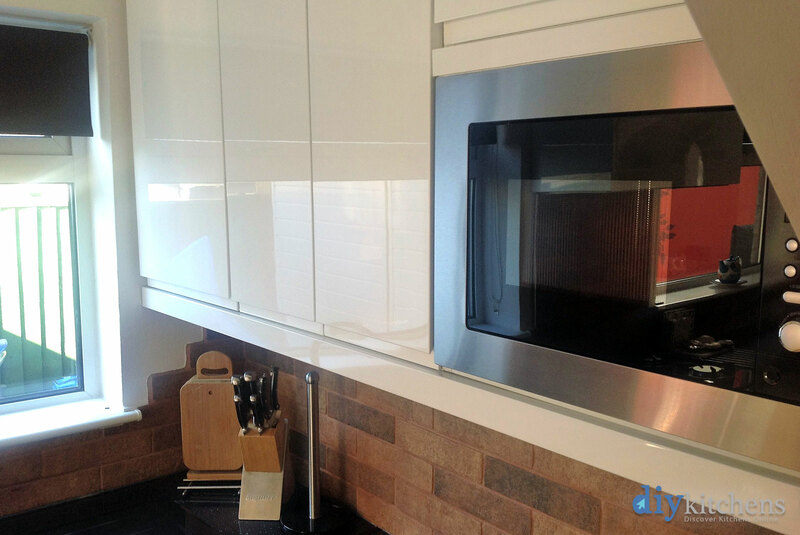 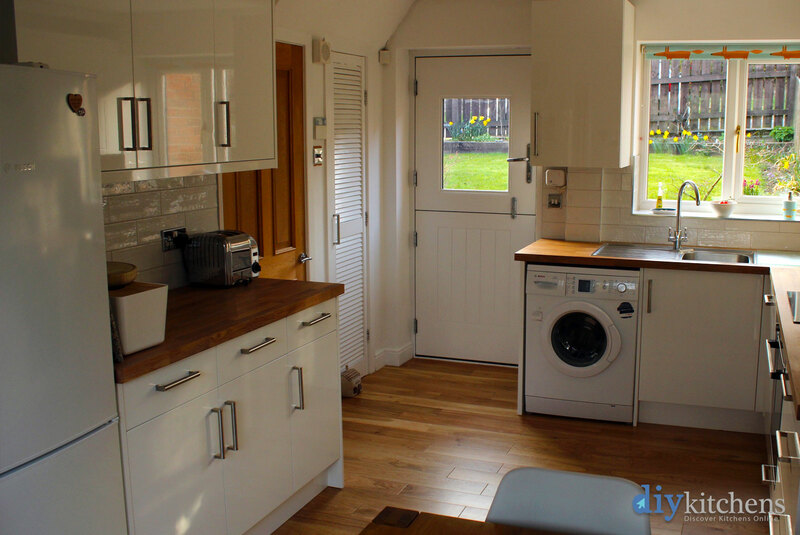 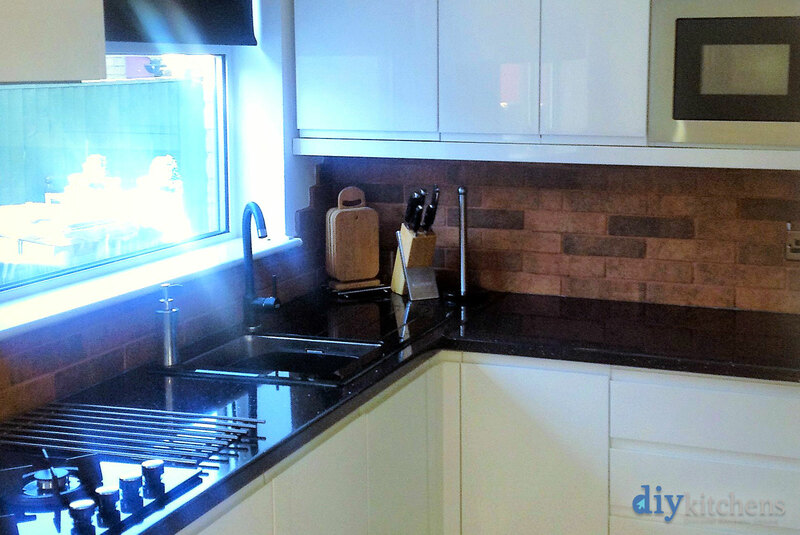 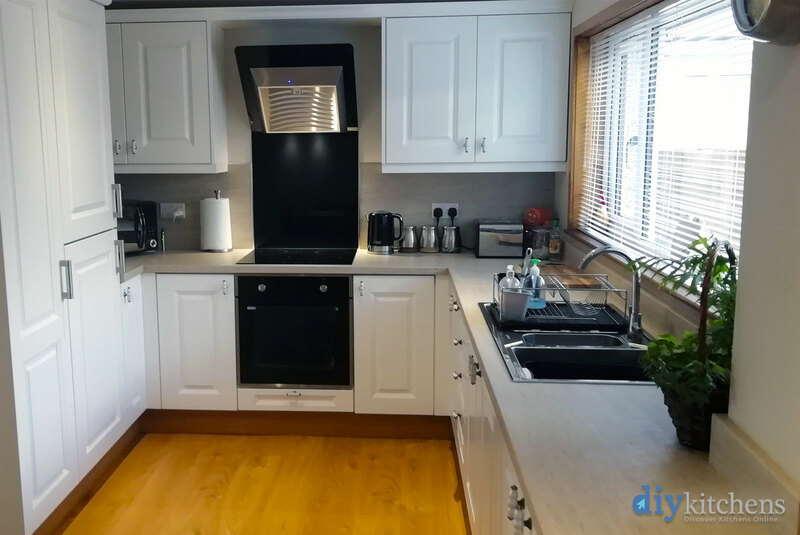 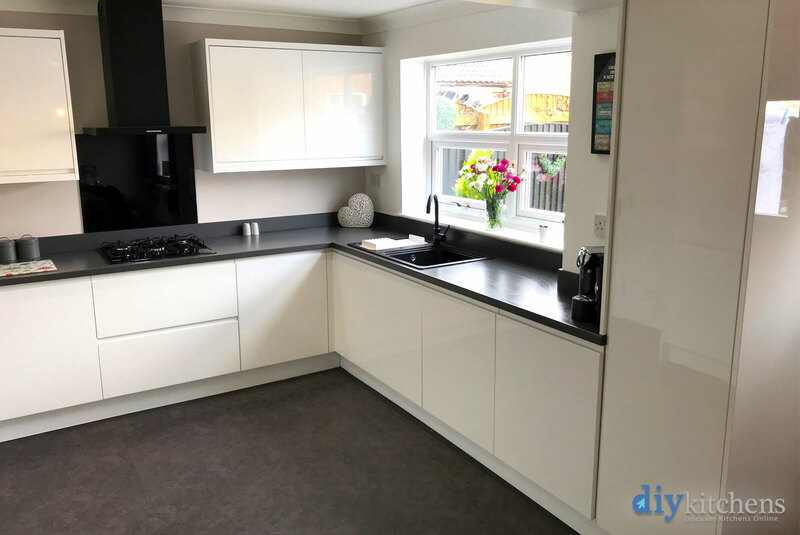 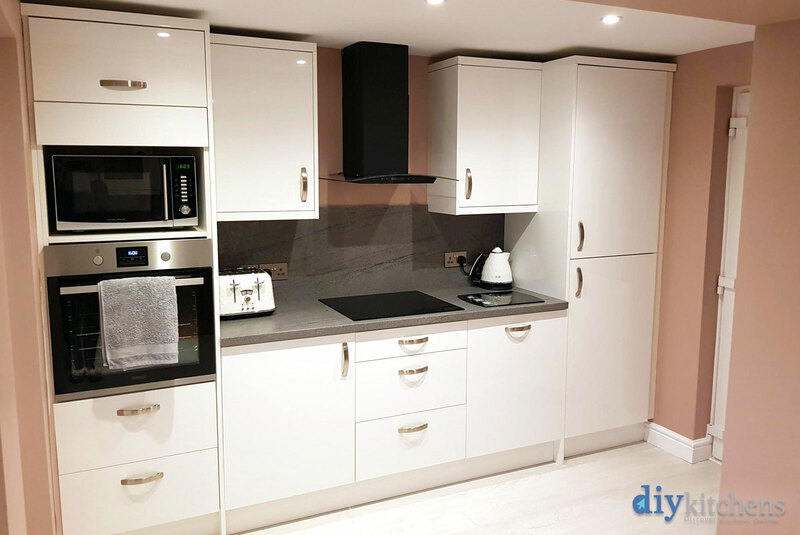 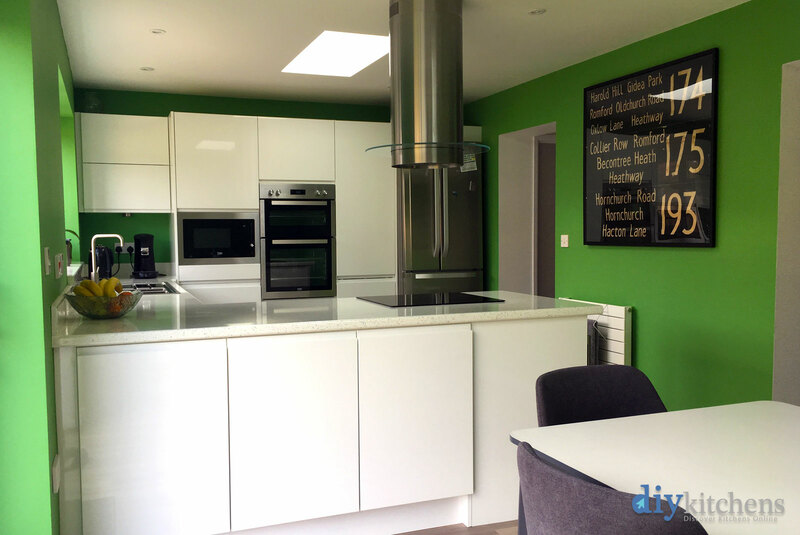 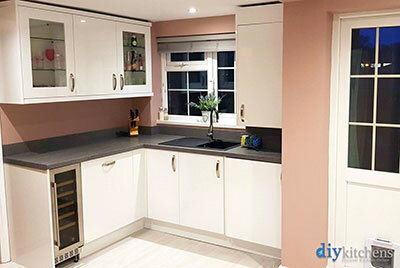 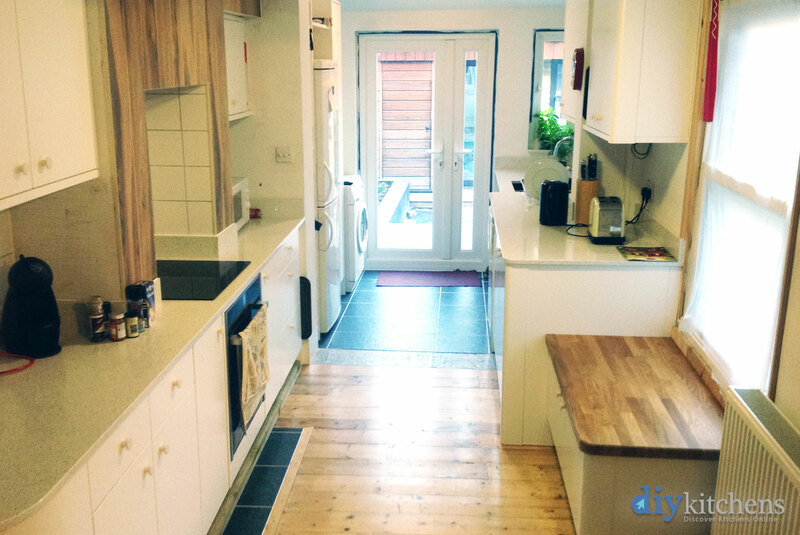 The plentiful choice of units and extra gadgets helped me to personalise my kitchen to suit my needs and also added that finishing touch." 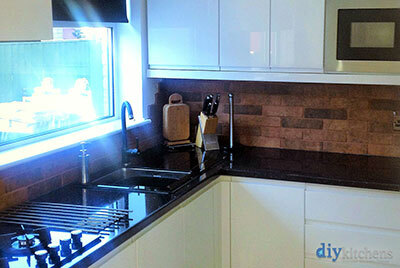 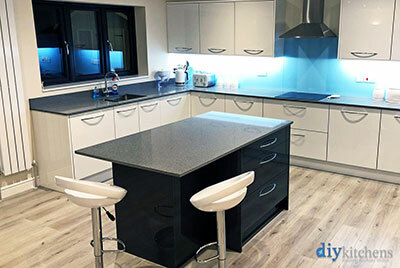 Steven from East Kilbride "I purchased my kitchen from DIY kitchens and I am absolutely delighted with it. 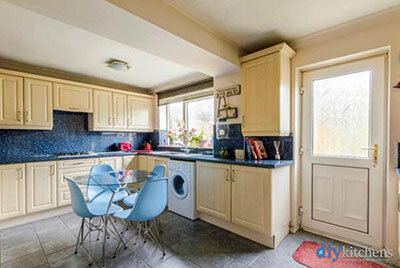 The kitchen units and doors are top quality. 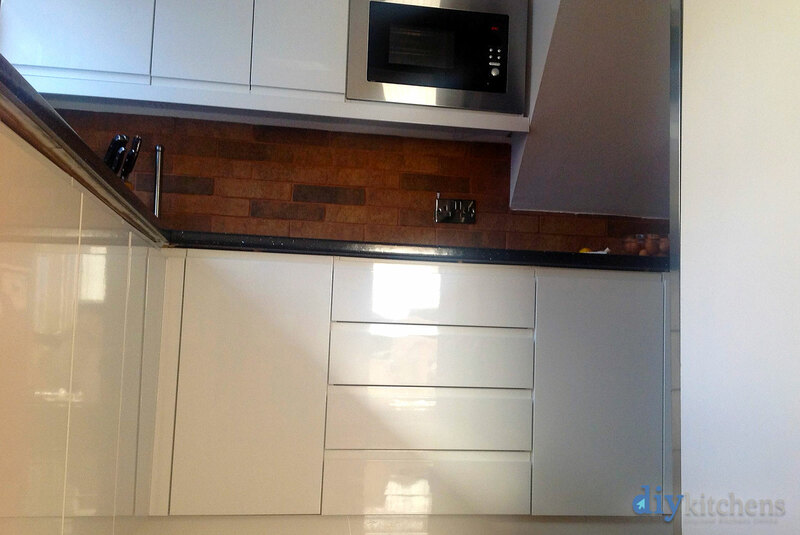 I measured it and helped to fit it with my joiner , we were both really impressed . This is how good it looks." 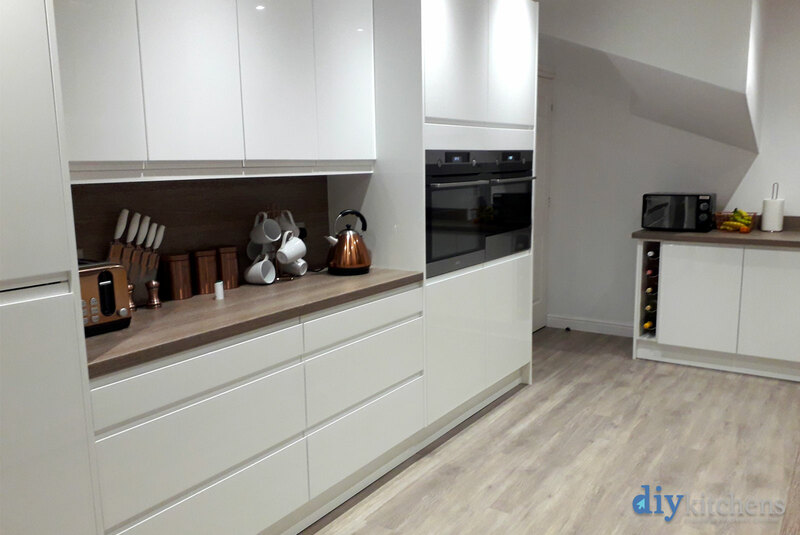 Mark from West Sussex "Absolutely love our kitchen, the units and really good quality and everything comes pre assembled, even the draws! We heard about you online. " 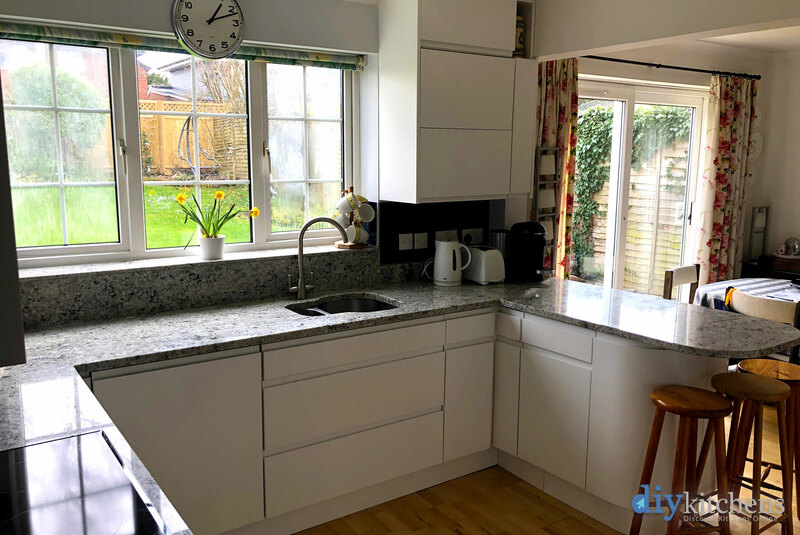 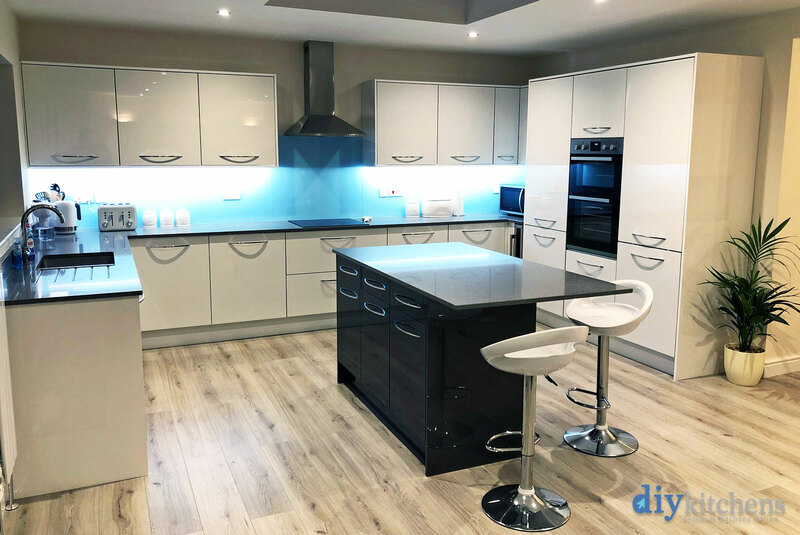 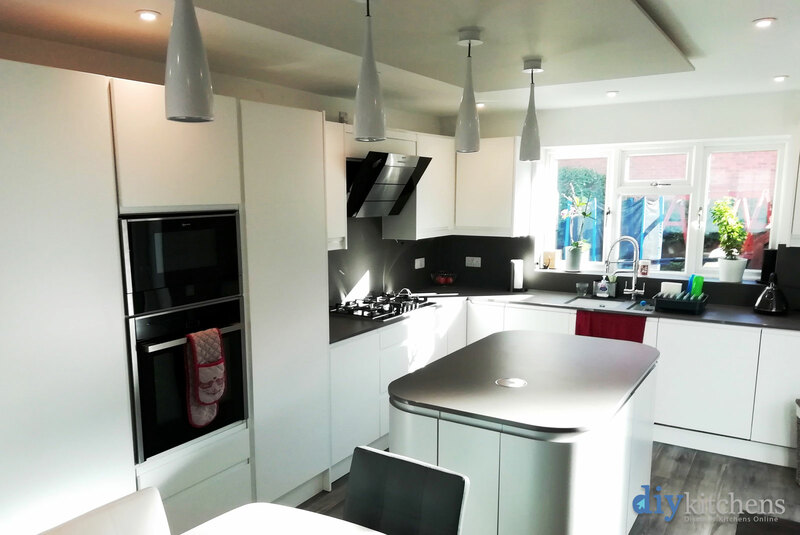 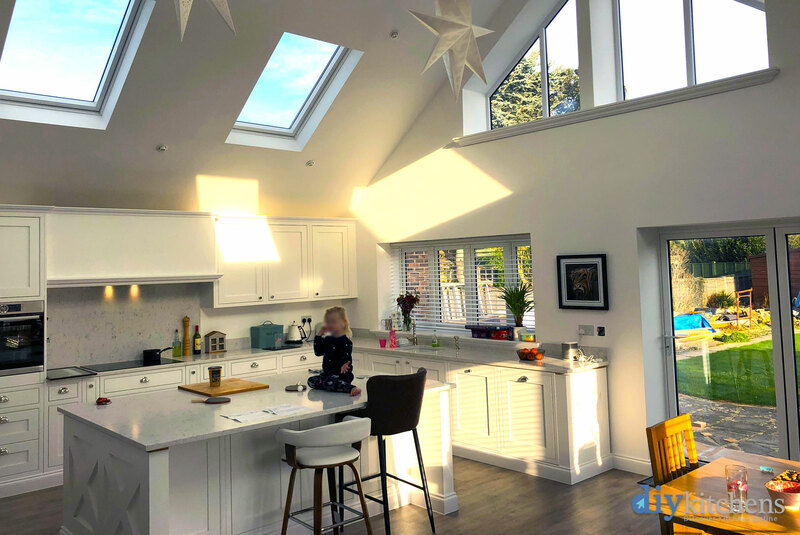 Allanah & Huw from Surrey "The overall quality of the kitchen is much better than both our old kitchen and the other kitchens we looked at in this price range. The surfaces of the doors and end panels are particularly good. 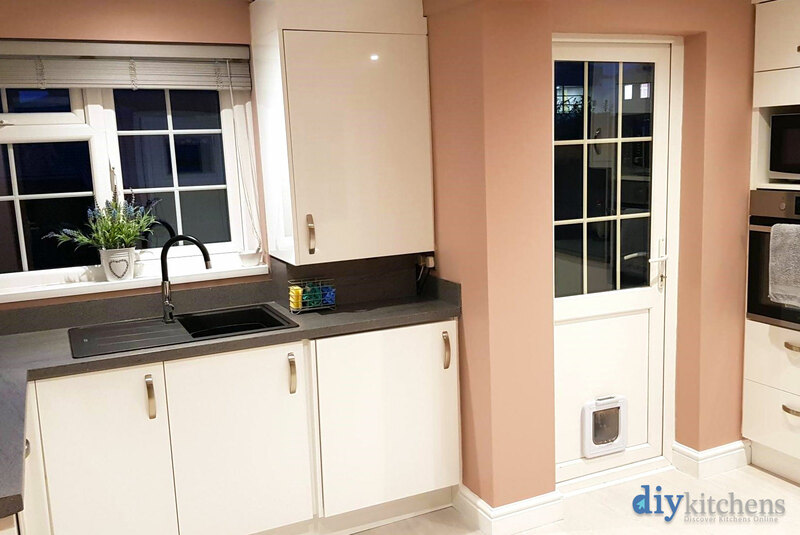 Having the doors fitted to the units when they were delivered much simplified installation and reduced the risk of making expensive errors. 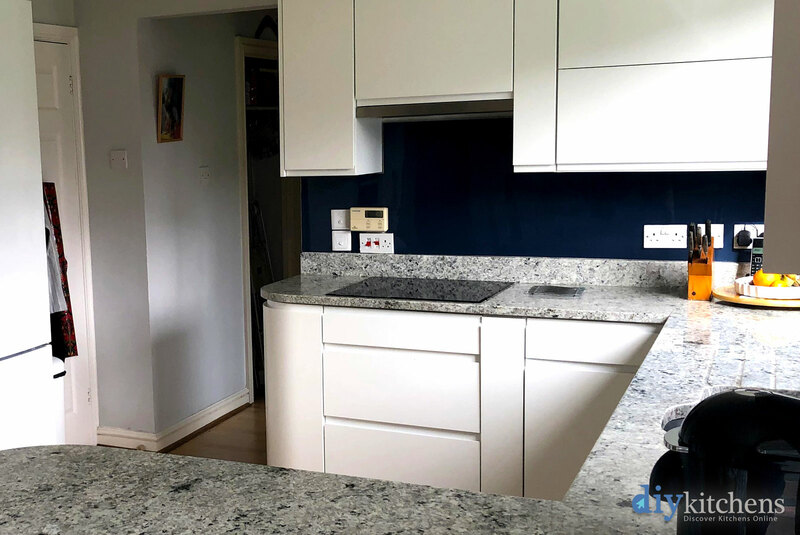 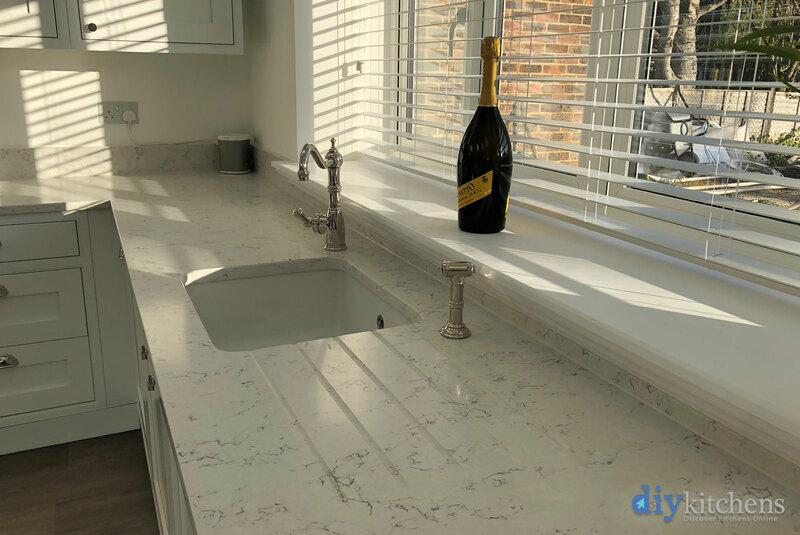 The granite work surfaces complete the kitchen units well and result in an overall high quality feel. 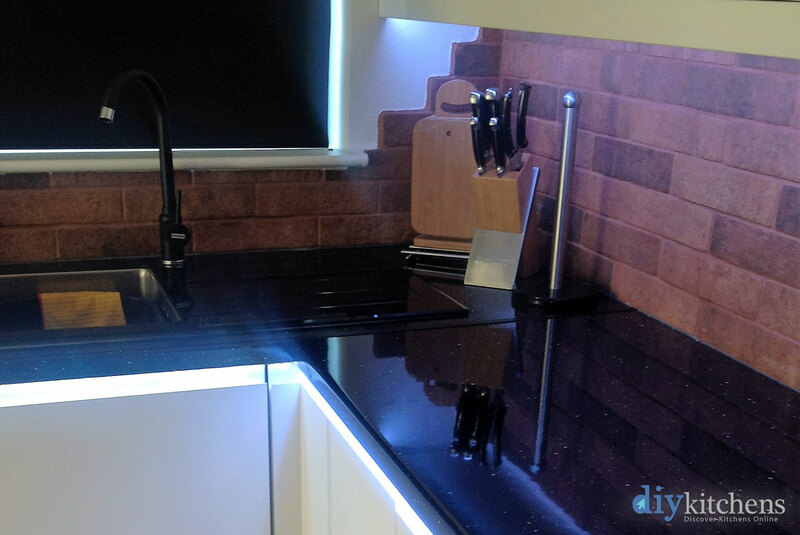 (That said, the degree of accuracy needed for the levels of the units for the granite fitting came as a shock. 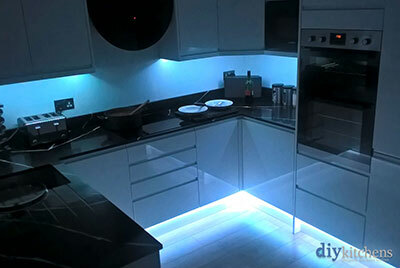 I should have bought a laser before I started the job!) 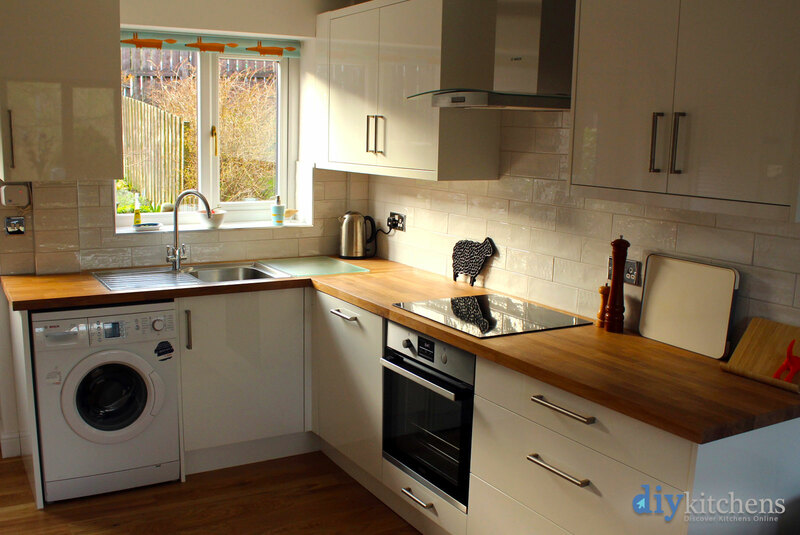 "
Laura & Nick from Milton Keynes "Overall kitchen quality is great. We loved how we could choose a different colour interior for the cupboards. Kitchen looks great and we love it. 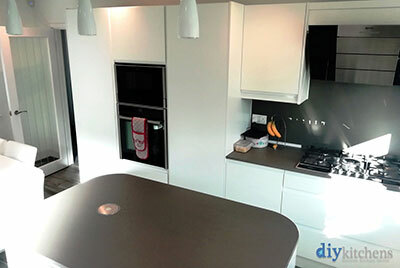 Super easy to install, friendly delivery drivers, the amount of options for colours and unit designs was huge. 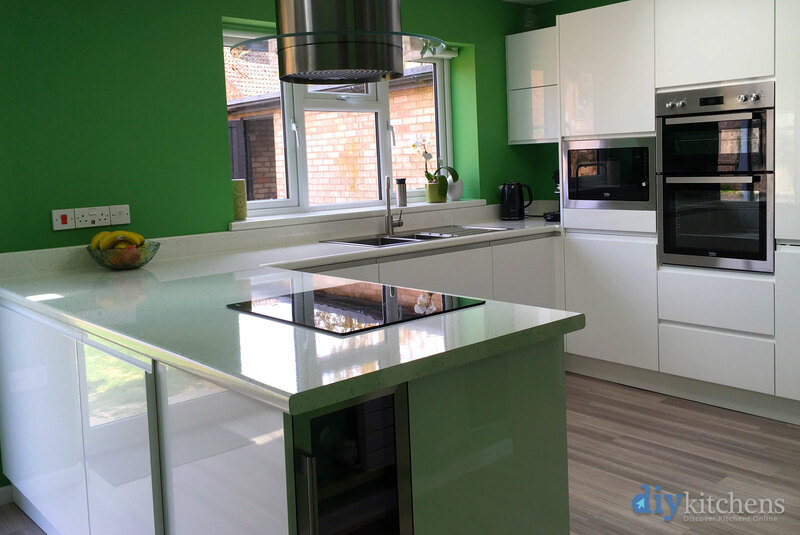 Have already recommended 5 friends who were wowed by the quality and style of our kitchen for the price it was for their own. " Tamara from Portsmouth "I drove from Portsmouth to visit the showroom as had heard great things. I fell in love with the Livorna kitchen in the showroom and also found a lovely laminate worktop. The customer service team were amazing and the dashboard online support was very helpful and messages were replied to quickly. 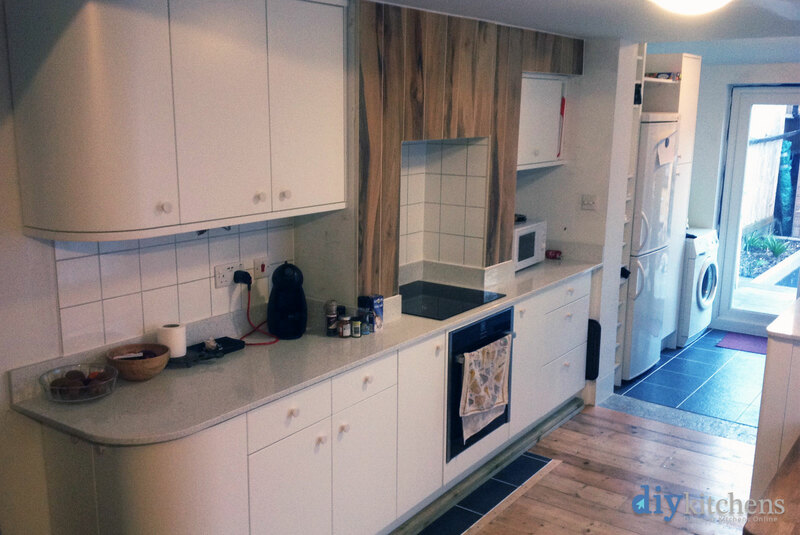 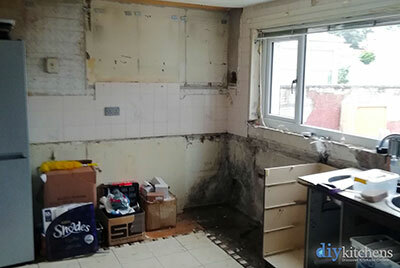 I would recommend DIY kitchens to anyone. I have had lots of comments about how lovely my new kitchen is. " 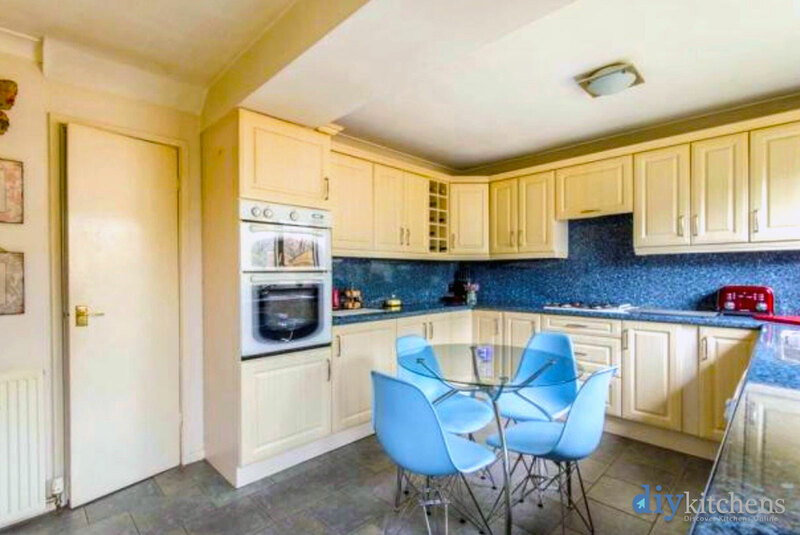 Out of view but in the same room sits a large LG american style fridge freezer too (opposite the area of the picture with the food mixer in!) 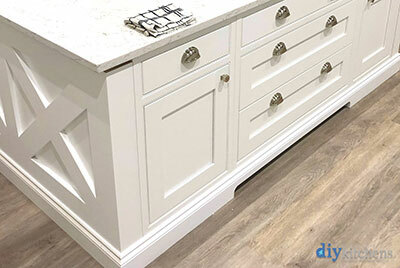 This was an amazing product to fit and the outcome was even more amazing for us." 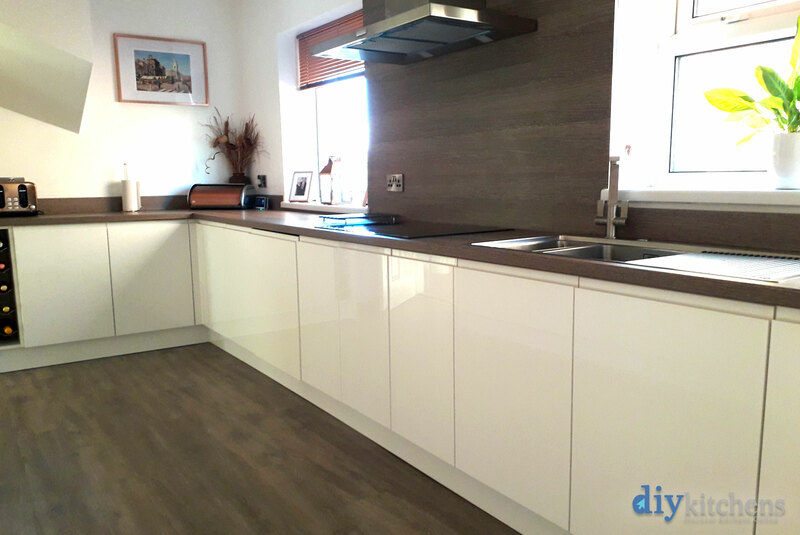 Sharon from Leicestershire "Luca matt white completed kitchen."